A dry basement – remember what that was like? If you're experiencing leaking, seeping water in your basement, then what you need is foundation waterproofing to get you your dry basement back. 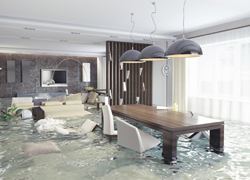 Water creeping into your home can cause a lot more damage than you think. In addition to the musty smell and the growth of unhealthy molds, mildews and fungus, water can cause your drywall to crumble, your ceiling and flooring tiles to swell and buckle, wooden fixtures to warp and could even cause your joists to begin rotting which poses a threat to the structural integrity of your home. We are dry basement specialists. Don't wait to get your dry basement back. Our waterproofing and sealing professionals have just what you need to put an end to water damage and unpleasant, musty odors today. While your home was definitely built to withstand moisture and dampness, years of wear and tear or a mistake during your home's construction could cause leaks or seepage in your basement. If you notice moistness, dampness, little trickles, leaks, or pooling water in your basement, it is absolutely time to get it fixed and get your dry basement back. When it comes to the value of your home and the quality of your health and the health of your family, there's certainly no reason to hesitate. Give us a call today! Why isn't my basement dry? When your home was built, it was built to stay dry. So why don't you have a dry basement today? Well, there are actually plenty of contributing factors. While your basement was waterproofed when it was first built, it's possible that there was either something lacking in the technique or application of the original builders, or that the effects of weather elements were simply far greater than originally perceived. If your lawn or yard has plenty of coverage from trees and shrubs, it could reduce the amount of sunlight that it's exposed to, and consequently reduce evaporation levels and increase the baseline moisture in your soil. Other factors that could contribute to more stress being put on your basement sealant include a lawn that slopes or angles towards your home causing runoff water to drain directly towards your basement, or a loose soil type that traps and maintains higher moisture levels. When your yard and specifically the area around your home maintain higher moisture levels, the water exerts more pressure on your moisture barrier which can cause it to break down faster. Regardless of how your home became more susceptible to basement drips and leaks, our professionals are prepared to locate the problem and get it fixed right. We understand that a dry basement isn't a luxury, it's a necessity. Give us a call today to find out more details. What does water damage mean to me? Water damage means more than just ruined boxes and no place to store your stuff in your formerly dry basement. When water leaks into your home it encourages the growth of dangerous mildew, molds and fungus. Fungus spores, molds and mildews are terrible for people with allergies and those with asthma, but that's not all. These growths can cause respiratory problems, including upper respiratory tract infections, even in healthy people. In addition to threatening your health and that of your family, water damage is a serious menace to the condition of your home. When moisture seeps into your home it evaporates into the air and raises the humidity level. This excessive humidity is absorbed by several substances in your home including wood, ceiling tiles and drywall and can cause swelling, warping, buckling, crumbling and rotting. When it comes to your health and the value of your home, don't wait - give us a call today!